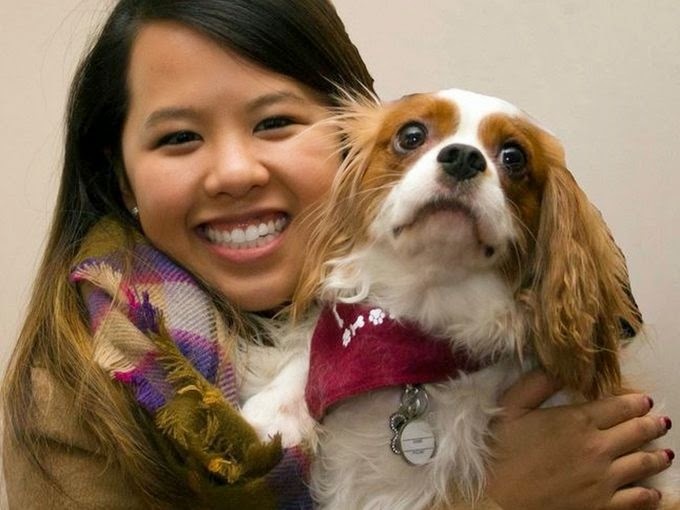 DALLAS — Dallas nurse Nina Pham, who survived Ebola, was reunited with her beloved pet dog on Saturday morning. "Thank you again for taking care of Bentley," a beaming Pham said at a news conference, acknowledging that it had been "a tough month." Bentley was placed in isolation after his owner — who had helped care for Ebola patient Thomas Eric Duncan at Texas Health Presbyterian Hospital Dallas — was diagnosed with the same disease. Duncan died on October 8. Dallas Animal Services said the brown-and-white Cavalier King Charles Spaniel was found to be Ebola-free after three tests during the potential incubation period, and was cleared to be returned to Pham on Saturday.